A report today based on data from Kayak, which indicates that overall, fares from California cities to all Hawaii destinations were down 17% compared with the same period last year. That drop in prices was largely as a result of both Southwest Hawaii flights and anticipation thereof, even before any significant competition actually occurred. The reason for the lack of competition is that those introductory fare sales came and went so fast that other airlines did not have a chance or need to respond. More on what is about to happen, including significant changes we now anticipate, below. Introductory $49 fares and next fare sales/announcements. 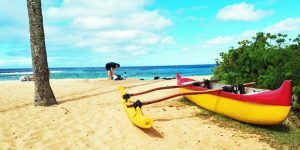 When Southwest Hawaii flights were announced last month, all of us nearly fell out of our chairs when we saw introductory fares of $49 to $99 each way, including all taxes, fees and two checked bags. Of course those didn’t stick, and fares have risen quite sharply, at least for now. All of that will change once again when Southwest announces the next round of new flights, which we have been told will happen later this month. With those will come more introductory fares (although probably not at the $49 mark). Change in Roll-out Plans Coming? We anticipate the next announcement of flights from Sacramento, San Diego, and Lihue will be more modest than had previously been planned. While those routes should all still start this summer, there might be fewer flights and fewer nonstop flights announced. We’ll tell you more specifics as soon as possible, since we are aware many of you are awaiting news in order to book summer vacation travel. The primary reason for any delay is the continued grounding of their Max 8 aircraft, which, while not used for Hawaii, has seen some of the Hawaii fleet of 737-800 aircraft called into service elsewhere. The airline told pilots last week that Max 8 airplanes would now be off schedule/out of service at least through May. Also, the release of the full range of planned Southwest Hawaii flights may be prolonged, perhaps taking place over the next year or more. Those additional mainland gateway cities awaited include Las Vegas, Phoenix and Denver, among others. 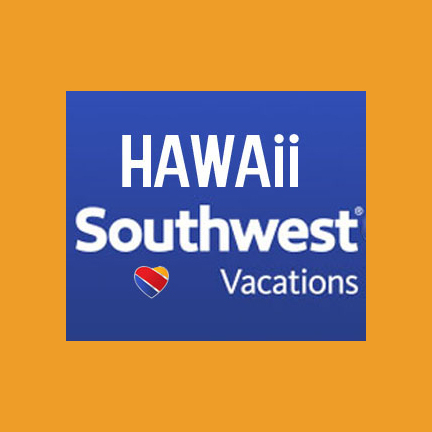 Southwest effect Hawaii airfares -17% | Many more Hawaii deals lie ahead. We’ve written before about the Southwest effect, as was most recently reported in the 2017 Darden School of Business study. “A few industry writers question whether the Southwest Effect still exists today, or has it been overtaken by the fares/traffic effect created by other low-cost carriers. The answer is clear. The Southwest Effect is alive and well.” — Alan Beckenstein (University of Virginia’s Darden School of Business), Brian Campbell (Campbell-Hill Aviation Group). Their study found that Southwest has as a strong effect on prices charged by other airlines. We’re quite certain that this effect isn’t going away anytime soon, and Hawaii bound travelers are likely to enjoy generally reduced airfares for years to come. Thank you so much for all of your valuable information. I was wondering what would be the best way to know as soon as possible of any new cities added, along with the super sale fares associated with them? Really enjoy all of the knowledge you share. Thank you. We will be on these, so if you use get our emails, you should be good to go. https://beatofhawaii.com/subscribe. In Hawaiian airlines N American airport’s serviced listed for choices shows Minneapolis but no flights. So are they thinking of coming up Mplis? Waiting anxiously for flights out of San Diego nonstop to OGG. Please let me know as soon as possible family of 7. As far as Inter Island fares go…. just did a search San Jose to Burbank on SWA… trip was $430. it’s trying to muscle in to a new market…then raise fares. Been done by plenty of other airlines too. is asking for trouble…we’ll see. Do you think Hawaiian Airlines or any airline will ever have direct flights from Orlando or Tampa? It takes forever for us Floridians to get to Hawaii. Thanks for always keeping us informed. No that is not going to happen. Just not enough traffic/demand, especially in relation to the distance. I’m waiting for the fares in mid-July. For the last several years, I have been paying around $700 from Oakland to Maui. I sure hope that changes! I’m seeing NO “Southwest Effect” on summer fares between PHX and HNL. The fares in July are at their usual $900 roundtrip (unless you want to connect through a neighbor island). Interestingly, the PHX to LIH/KOA/OGG have come down though. Good for those going to a neighbor island. Twenty years ago, it was exactly the opposite — the neighbor island fares were much higher from the mainland than the HNL fares. Have you tried a connecting flight from the San Francisco bay area airports? Summer fairs are cheaper than they have been in years from that area. You might try putting separate flights together from PHX to SFO, OAK or SJC and then on to HNL, maybe even plan a day in San Fran. 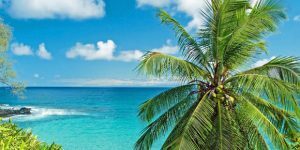 I recently booked from OAK to HNL with flexible dates for $327 on Hawaiian Airlines for travel dates in May and on the weekend, to and from. June through August are typically the most expensive times to fly, but I did see some flights in the $500 plus range. As they always say here at Beat of Hawaii, being “flexible” with your plans produces the best results. Hope that helps, Mahalo! Btw, my wife and I really appreciate your updates and info on this topic, and the over-all effort you put out on the website to stay “in the know”. Mahalo! 17% is nice, but so far I’ve yet to be dazzled. Sure the introductory prices were great, but that lasted, what, a few hours the first day? Congrats to those lucky people who could actually get into the respective websites and actually get a booking. Props to Hawaiian for playing the genious card and not really panicking, yet still competing. Im stickimg with Hawaiian for the service and HA card perks for now,until I actually see SWA step up and really affect competition in the market. 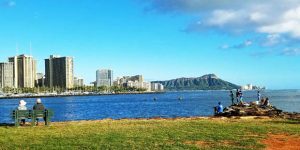 I got a better deal on Hawaiian to HNL from OAK, by over 100 dollars using flexible dates. What I want to see change is the rediculous over-charging on inter-island flights. If not the most expensive cost per mile in the world, it’s pretty darn close. Yes, I know they had some deals for inter-island flights for, a day or two, but that is the real priority for most of us that have the need to get to other airports besides Kona, Kahului or Honolulu. When is that going to happen? 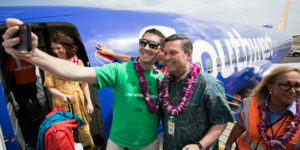 Interisland airfares will definitely improve as Southwest brings on more flights. That’s the only hope there is. Having just paid well over $300 for a 100 mile round trip, we do relate. Aloha, and Mahalo again for your previous reply. We travel multiple times a year to our property on the Hilo side, and on our last trip I was talking story with one of the baggage porters about SWA. He seemed to know that there was already plans for a specified SWA terminal in one of the first couple terminal much closer to the baggage claim area at ITO. Have you heard anything regarding flights to Hilo? This is our future retirement home, within the next 5 years or so, as I have always wanted to get back to my roots and closer to family. We were hoping we could see some more reasonably priced inter-island flights sooner than later. Mahalo again for your time! Any suggestions on how I can best receive notification that southwest had opened up the new cities with hot startup airfares? When is Southwest be flying round trips from Hilo Hawaii to San Jose and other cities in California? Home » News » Hawaii Airline News » Southwest Effect Hawaii Airfares -17% | Change in Roll-out Plans Coming?